On 15th March a Government statement was repeated in the House of Lords on the EU Court of Justice Ruling on Religious Signs. The Bishop of Chester, the Rt Revd Peter Forster, responded to the statement. The Lord the Bishop of Chester: My Lords, given that there have been some very obvious differences between the UK and some continental countries in this area, does the Minister agree that the general approach in the UK of welcoming religious and cultural diversity must mean that welcoming its reasonable manifestation within the overall rhythms of British culture has stood us well in the past and will do so in the future, notwithstanding this court judgment? 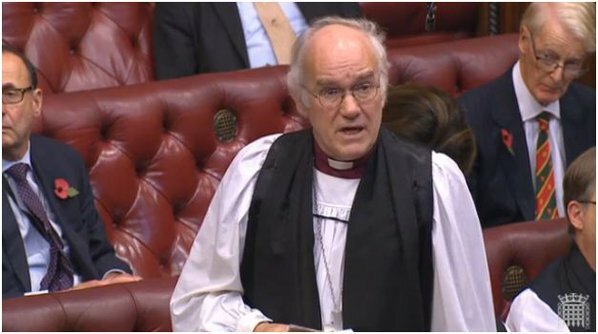 Baroness Williams of Trafford: I could not agree more with the right reverend Prelate. This is a great country to live in no matter your religion or belief. Long may we go about freely expressing our religion and living our lives in the way that we see fit. The right reverend Prelate spoke about different laws in different countries. Obviously last year there was a ruling in France over the burkini, which was subsequently rejected.